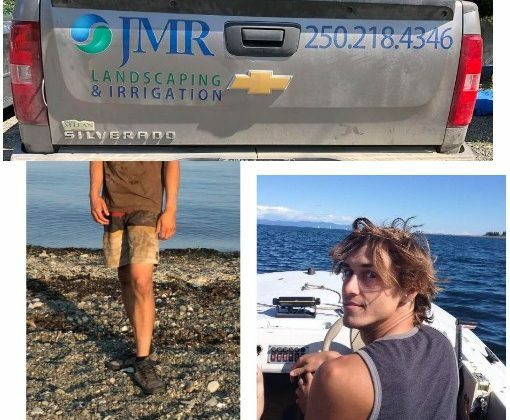 Three photos of 22 year old Ezra Bukach, showing his cloths, truck, and current look. Images courtesy of RCMP. COURTENAY, B.C- While official information remains scarce, the case of a Courtenay man who went missing in August has a tie to a small village north of Campbell River. 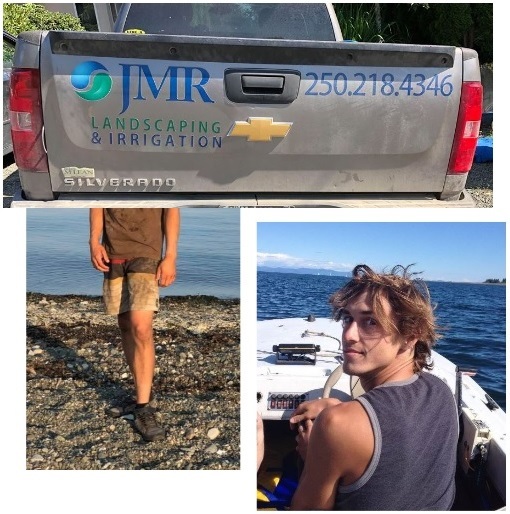 The man was 22 year old Ezra Bukach, an employee of JMR Landscaping in Courtenay. According to Leah Bood, the aunt to Ezra’s girlfriend, he showed up to work in the morning around 7:30 a.m. on August 9th, taking a work truck out to a work site in Royston. He never showed up to the work site that day, and there was no contact with him after 7:33 a.m., which was the time of the last text message he sent that day. On the morning of August 11th, Bukach’s girlfriend said he had been in contact with police, with police later confirming. However, details of what happened to the man have not been released by RCMP. Police have not confirmed whether Bukach’s disappearance was linked to a notice issued by the detachment about a suspicious man on 29th Street in Courtenay waving at cars the same morning, between 6:30 a.m and 8:00 a.m. He had been wearing khaki pants, and a long sleeve grey shirt. At the time of the notice being issued, the Comox Valley RCMP said it was a small piece of a larger investigation, and further details could not be released. The police are asking for anyone who was in the area while the man was there to get in touch with them. There has been online speculation about the two files being linked, which police have not confirmed. Part of the online discussion on the incident included speculation about where Bukach ended up before being found, which mentioned Sayward. On September 5th, the MyComoxValleyNow.com newsroom reached out to the Sayward RCMP detachment to confirm whether or not Bukach had been picked up by their officers. The detachment confirmed that had taken place, but did not provide any additional details, referring those to the Comox Valley RCMP. On September 11, Constable Monika Terragni with the Comox Valley RCMP stated she did not have any more information to release regarding Bukach. “Every investigation is unique in the challenges it may present, and the time required to complete them is based on so many factors,” said Terragni. Efforts to reach Bukach about what occurred have been unsuccessful. Police have indicated there is no threat to the public.